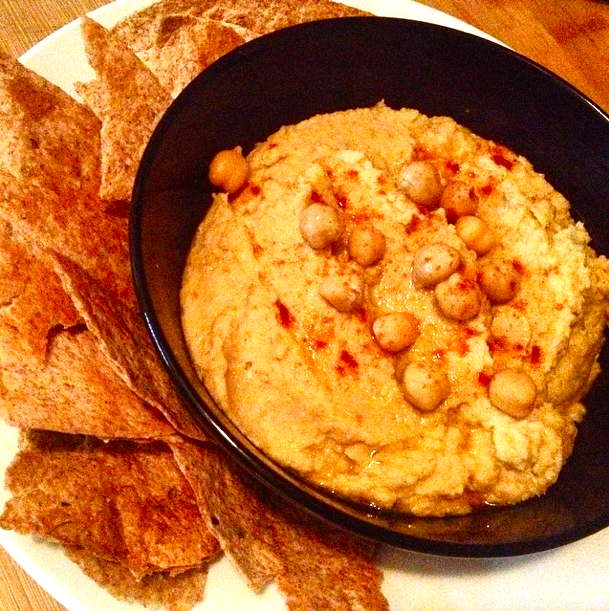 I had never made hummus before but I had a sudden craving for it a couple weeks ago and it seemed easy enough to make. Just a few ingredients were called for, and I had most on hand, so I threw together some things (with a few modifications) and it came out perfect! 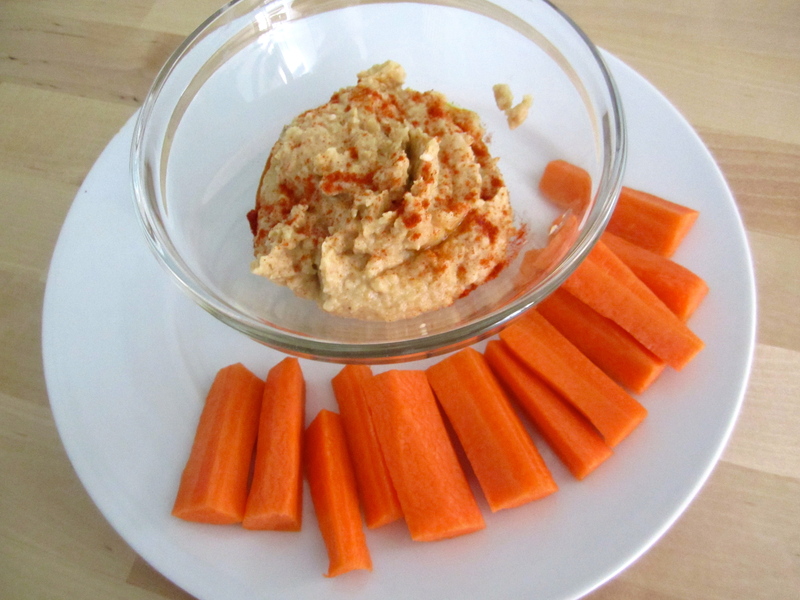 Just made it again today and substituted the oven-baked wheat tortilla strips with carrots sticks. It makes for a perfect snack 😉 I hope you like it. Another ingredient you can add (if you have access to it) is a little bit of Tahini sauce.